The head of an Indian nonprofit trade organization said cryptocurrency is “illegal,” and urged businesses to obey the law, local news daily the Hindu reported Thursday, Oct. 25. Debjani Ghosh, the president of the National Association of Software and Services Companies (NASSCOM), was cited by the Hindu saying that cryptocurrencies are illegal from NASSCOM’s perspective. NASSCOM is a nonprofit trade association of over 2,000 member companies for the Indian IT and business process outsourcing industries. Cryptocurrency is currently legal in India, but in July the Reserve Bank of India (RBI) banned the country’s banks from servicing businesses involved in exchanging or processing digital assets. At the time, RBI cited risks to financial stability and the security of investors as being the main reasons behind the ban. 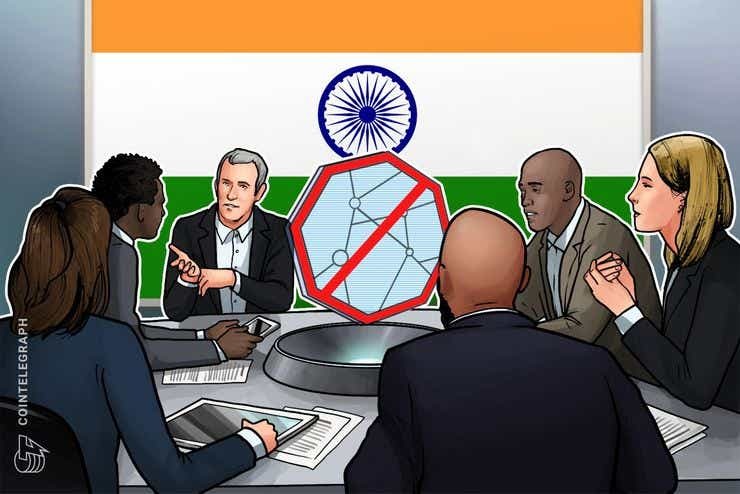 Following the crackdown, commentators were quick to note that, while banking activities for crypto business were suspended, it was not a ban on crypto in India outright. The country’s supreme court continues to uphold the ban even after hearing a raft of petitions. Since July, the ban has had severe repercussions for the industry. Exchanges in particular have faced difficult conditions, with major platform Zebpay halting operations and relocating to crypto-friendly Malta. Ghosh’s comments come after police clamped down this week on a project from crypto exchange Unocoin, arresting its co-founders after they installed a Bitcoin ATM in a Bangalore shopping mall.